HydroClenz™ is the safe and effective way to prevent the growth of Legionella and other harmful bacteria in your water system. 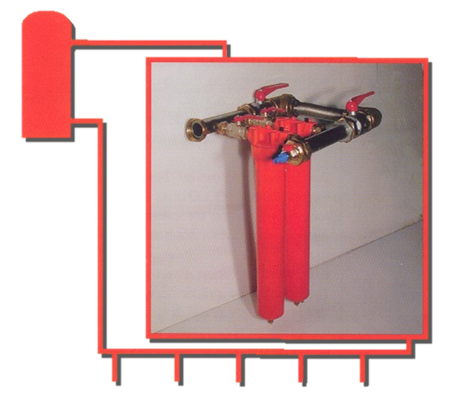 The HydroClenz 3000 Inline™ units are installed in re-circulating water systems or incorporated in a pumped system giving effective and continual protection. They are suitable for use in both hot and cold water systems. Simple to install and easy to use, HydroClenz units are non-chemical, non-powered, environmentally friendly and cost effective. 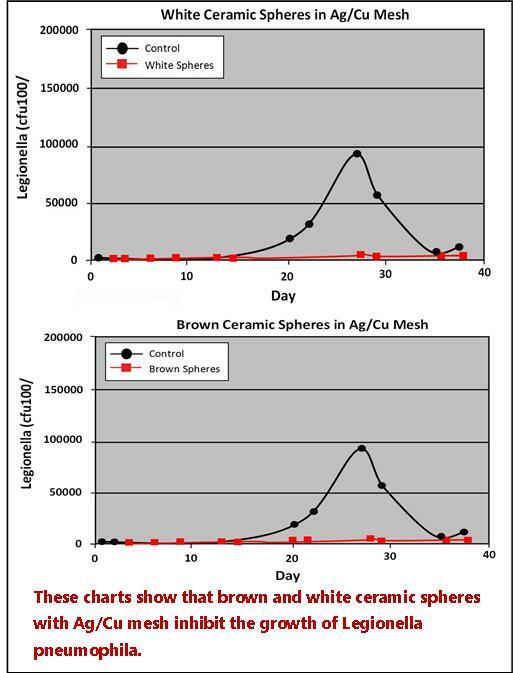 HydroClenz uses IONamix™ media technology, a combination of active ceramic and noble metal media that causes oxidation of the water and ionisation, a powerful disinfectant process that disrupts the replication of waterborne pathogenic bacteria. HydroClenz 3000 Inline™ allows the safe reduction of water temperatures within a hot water system to comply with Part G of the Building Regulations without increasing the risk of infestation of pathogenic bacteria such as Legionella. The ability to safely reduce water temperatures within the hot water system can result in significant costs savings in energy, system maintenance and replacement equipment. In hard water areas the reduced temperature decreases propensity to scale and heat exchange surfaces remain more efficient. Mixer valves are no longer required or, if fitted, require less maintenance. The HydroClenz 3000 Inline™ controls bacterial infestation and the build up of biofilm, scale and corrosion for up to 3 years. Apart from regular monitoring of the stored water system to ensure compliance with current legislation and the intermittent removal of sediment from the product, no further maintenance is needed. IONamix™ media are totally inert when out of water and the units present no hazard in their use, handling, transport or storage. Disposal is completely safe at the end of their optimum life. HydroClenz 3000 Inline™ is available in two unit sizes: the 10” unit treats 17 litres per minute and the 20” unit treats 34 litres per minute. Units can be mounted in parallel to achieve higher treatment rates (as illustrated). The media used in HydroClenz units have been proven to kill Legionella and other bacteria in tests carried out by recognised authorities on the quality and safety of water (South West Water Laboratories). The technology complies with BS6920 Part 1, and meets the standards of the Water Byelaws Scheme. It also complies with the COSSH Regulations and Occupational Exposure Limits. Regulations and Occupational Exposure Limits.